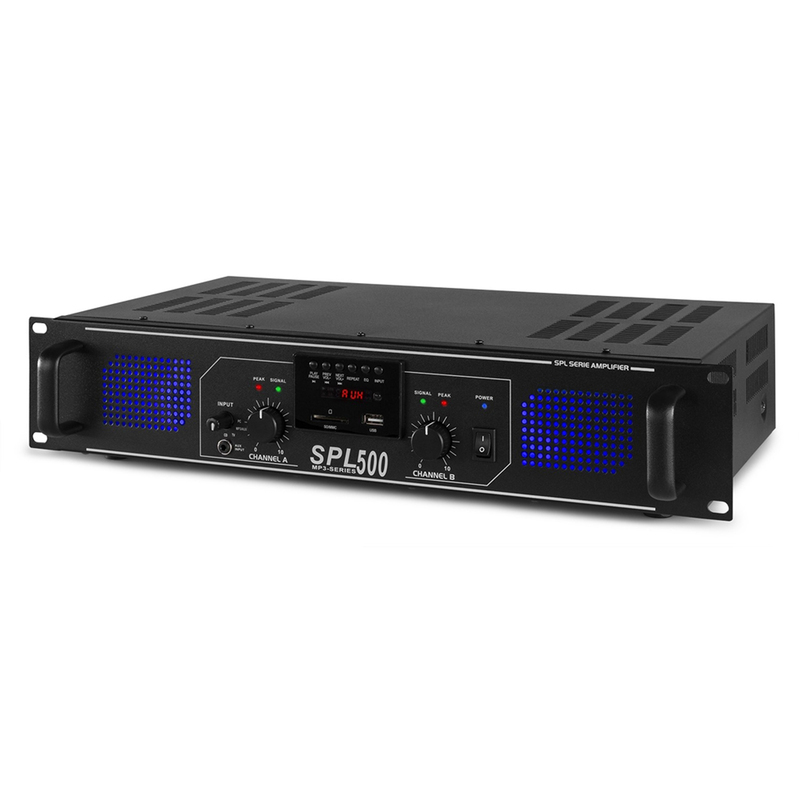 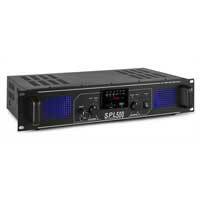 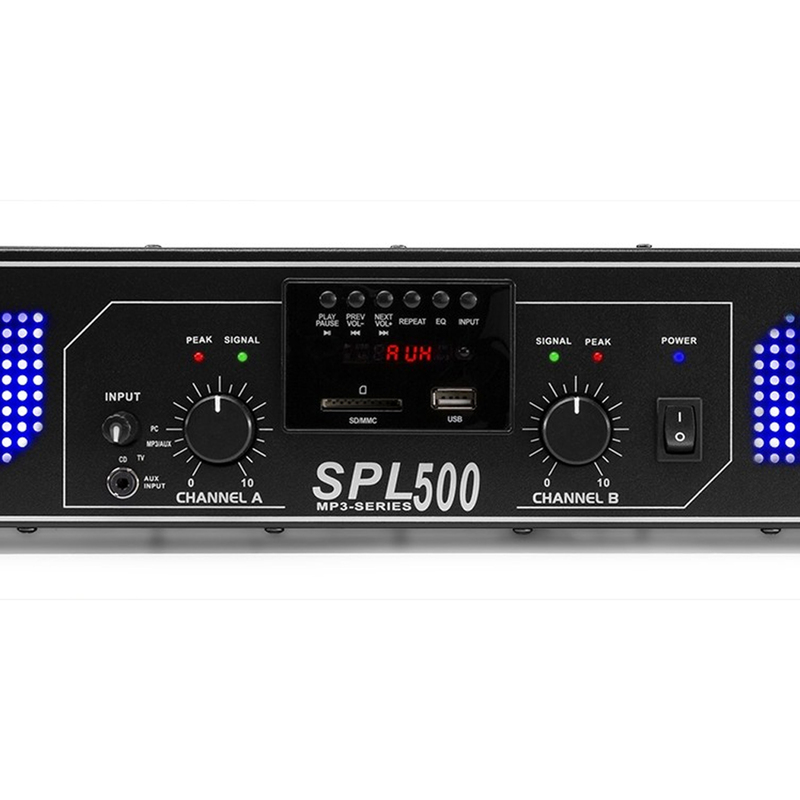 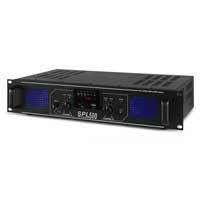 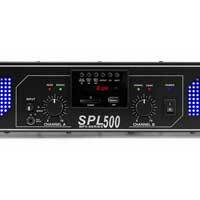 2 x 250 Watt PA amplifier for semi-professional use that shouldn't miss in any DJ, bar or home installation. 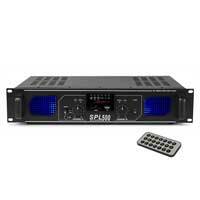 The amplifier is fitted with an FM Tuner and several RCA inputs for various audio sources such as DVD player, TV, CD player, etc. 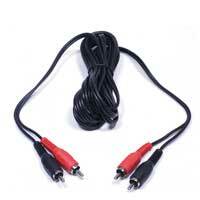 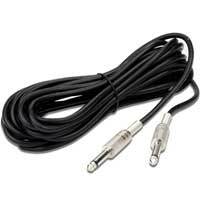 3.5mm Jack on the front plate for the connection of an MP3 player and also has a USB and SD card slot on the front for instant access to music files. 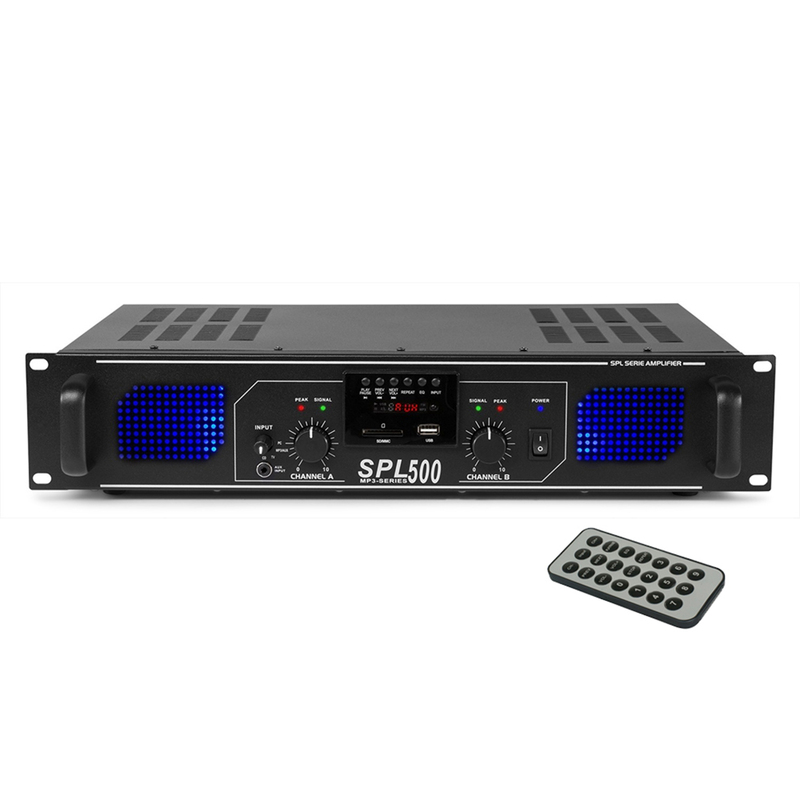 The powerful end stage ensures long lasting top performance.